1. Why is this project being proposed? Do we really need more power? The Northwest Power and Conservation Council forecasts energy demand in the Pacific Northwest “to increase by a total of 7,000 average megawatts, growing on average by about 335 average megawatts, or 1.4 percent, per year” by 2030. Similarly, on a local scale, Puget Sound Energy expects “average electric firm loads… to grow at an average annual rate of 2 percent per year, from 2,455 [average megawatts] in 2009 to 3,642 [average megawatts] by 2029” within their service territory. The project is intended to meet both current and future energy demand by providing a renewable source of energy. 2. Why build a small, 25 megawatt hydroelectric project when future energy demands are so high? Isn’t this just a “drop in the bucket”? The feasible, large scale projects in western Washington have already been built. Most of the new potential hydropower opportunities are smaller scale projects with less environmental impact. Typically these are run-of-river projects located close to existing transmission systems and electrical loads in steady growth areas. Smaller projects tend to fit in better with existing land uses and development resulting in less competition for space and less modification to the environment. The proposed project would generate approximately 104,720 megawatt hours annually, enough to supply energy to 8,727 households. The project could displace approximately 72,210 metric tons of carbon dioxide per year, or an approximate total of 3,610,500 metric tons of carbon dioxide over a 50 year operating period. 3. Can we meet the region’s growing, future energy demand through conservation and efficiency improvements alone? According to the Northwest Power and Conservation Council, efficiency improvements have met 48 percent of the region’s load growth since 1980, and the Council continues to see conservation and efficiency improvements playing a role in meeting future energy needs. However, there remains a growing future energy demand, requiring the construction of new energy sources. 4. Will this project threaten salmon and other anadromous fish species? No, one reason the project was sited here is that Snoqualmie Falls, located downstream, is a 268-foot fish barrier. Salmon are not present in the North Fork Snoqualmie River. 5. What is a “run-of-river” hydroelectric project and how does it differ from conventional hydropower? Modern “run-of-river” hydropower is almost unrecognizable in comparison to the conventional hydropower most people imagine when they hear the word “hydropower.” A run-of-river hydroelectric facility uses the flow of a stream as it naturally occurs and has little or no reservoir capacity for water storage. The large, conventional hydropower facilities most people associate with hydropower were generally constructed decades ago and utilize dams to store water for release and energy generation during times of high demand. An example of traditional hydropower would be the Grand Coulee Dam on the Columbia River. Our proposed project on the North Fork Snoqualmie does not resemble these conventional hydroelectric facilities. Instead, our proposed project would only divert a portion of stream flow, leaving flows to protect fish, wildlife and recreational uses, while also allowing high water flows to pass freely downstream and perform important ecosystem functions. Our proposed run-of-river hydroelectric project would also provide for fish passage around the intake structure. The proposed intake also incorporates an inflatable section which, when fully deflated, would allow the river to flow freely, performing all of its natural ecological processes, such as passage of sediment and river bottom material downstream. 6. What types of alternative energy sources are available in the Northwest beyond small, run-of-river hydroelectric projects that will allow us to meet our growing energy demands? In Washington there are a number of other energy sources currently operational. Major electric power plants in Washington include coal, petroleum, natural gas, nuclear, wind and conventional hydropower. However, hydroelectric facilities are seeing their number, and ability to offset carbon intensive energy sources, dwindle due to facility retirements. 7. What is the cost of generating energy using hydropower as opposed to these other, alternative energy sources? Following closely behind the efficiency improvements of existing facilities, new hydropower is the cheapest levelized source of energy. Also, as a renewable, American source of energy, it is not subject to the variable swings in pricing that are common with many energy sources, like oil. Please see the following table published by the Northwest Power and Conservation Council. 8. How will the proposed project benefit the local community? The energy generated by the project is intended to be sold directly to Puget Sound Energy and consumed by electrical loads within the immediate community. Additionally, the proposed project would supplement local energy generation, reducing risks of supply disruption from outside sources more distant from the immediate geographic area. A portion of local power needs are currently being met through generation from another area hydroelectric project, Black Creek Hydro, which currently generates energy on a tributary of the North Fork Snoqualmie River. Construction and ongoing maintenance of the project will provide an economic boost to the local economy through local purchases, employment, and taxes for the project’s Lifetime. Economic financial benefits will be multiplied as local dollars earned from construction will be used multiple times in the local economy. 9. The North Fork Snoqualmie River is eligible for designation as a Wild & Scenic River. Can a hydroelectric project be built on the river and how would its construction affect this eligibility? The North Fork Snoqualmie River is not currently designated as a Wild & Scenic River and FERC may issue a license for a hydroelectric project. The low diversion works and other minor structures proposed as part of the Black Canyon Hydroelectric Project will not prevent the North Fork Snoqualmie River from someday being designated as a Wild & Scenic River. 10. Will the proposed project impact the Mt. Si Natural Resource Conservation Area? The Mt. Si NRCA is located on lands adjacent to a segment of the North Fork Snoqualmie River which will be affected by the proposed project. The diversion of a portion of stream flow to generate energy from this river segment will alter the timing and volume of water within this segment. Before a license is issued for a hydroelectric facility, a thorough analysis will be conducted in consultation with the Washington Department of Natural Resources and other state and tribal resource agencies. The studies will address potential impacts of changes in stream flow, as well as any other potential impacts on the Mt. Si NRCA, such as visual and aesthetic impacts. 11. The Northwest Power and Conservation Council (the “Council”) has designated the river as “Protected”, therefore hydropower development should not occur on this river segment. Can a license for a hydropower facility be issued by FERC? In 1988, the Council, a four state commission charged with regional power and conservation planning, designated portions of the North Fork Snoqualmie River as a “Protected Area.” This designation discouraged hydropower on designated river segments due to anticipated fish and wildlife populations. However, recently completed evaluations of the Snoqualmie River system’s fisheries by the Washington Department of Fish and Wildlife, during the relicensing of the Snoqualmie Falls Hydroelectric Project, has generated new, detailed information that may allow reconsideration of a low impact, run-of-river hydroelectric project. 12. Isn’t there a conservation easement owned by King County restricting development on some of the land where the project is proposed? Yes, the easement prohibits certain development activities in order to prevent any deleterious effects on the conservation values of the protected property. The conservation easement explicitly allows the construction of run-of-river hydroelectric facilities with a capacity no greater than 12 megawatts and without large dams or reservoirs. If the proposed project is ultimately sited on property protected by the conservation easement, then the easement may affect the proposed project’s capacity and design. 13. Hydroelectric projects have been proposed on the North Fork Snoqualmie River in the past and were abandoned. How is this proposed project different? Two prior proposals were ultimately abandoned over twenty years ago. However those projects were significantly different from the current proposal in both their design and scale of impact. The first proposed project included a 275-foot tall dam and large storage reservoir allowing for energy generation as well as creating a municipal water supply for the City of Bellevue. The second abandoned project proposed a dam spanning the river with a 180-foot wide, 16-foot tall concrete spillway combined with another 150-foot wide, 23-foot tall earthfill embankment. The current proposal calls for a 7-foot tall intake structure with a single, approximately 157-foot long inflatable rubber diversion dam. Unlike a concrete, earthfill dam, the inflatable diversion would allow the diversion’s height to vary between 0 and 7-feet tall, depending on inflation stage. When fully deflated, the river would flow freely, performing all of its natural ecological processes, such as passage of sediment and river bottom material downstream. 14. Will the proposed project have an adverse impact on the area’s environmental resources? The proposed project has been located on land that is currently or has historically been managed as a commercial tree farm. This use has led to significant habitat disturbance, limiting its diversity for wildlife. As a result there is no expectation that threatened, endangered or sensitive species are within the project area. However, studies will be conducted in partnership with state and tribal resource agencies to evaluate potential impacts on environmental resources. Additionally, potential mitigation opportunities are already being discussed by participating stakeholders to offset any potential project impacts. 15. I’ve heard that Ernie’s Canyon is a well-known advanced whitewater kayaking run. How will this project impact its status as a whitewater run? As a class V whitewater run, this river segment is exceedingly difficult, with violent currents, almost uninterrupted rapids, and characterized by big drops all at a very steep gradient. While the run’s difficulty, and experience requirements, limit the volume of users who are capable of safely completing this run, it remains regionally significant. We expect to conduct a recreational flow study with local kayakers to determine the appropriate volume and timing of any diversions to protect Ernie’s Canyon’s status as a regionally significant run. These study results would be incorporated into the requirements of a FERC license. The design of the project’s intake diversion structure will accommodate kayaker passage or provide a brief portage route. Additionally, we hope to increase general recreational opportunities by arranging for expanded access in the project area over what is currently available. Northwest Power Conservation Council: Sixth Northwest Conservation and Electric Power Plan, Chapter 3: Electricity Demand Forecast [Internet]. 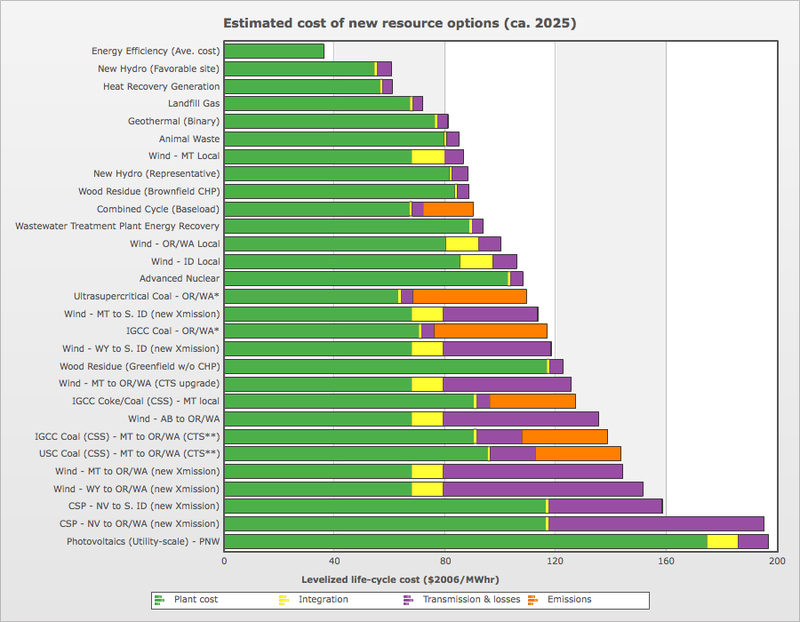 Available from: http://www.nwcouncil.org/energy/powerplan/6/final/SixthPowerPlan_Ch3.pdf; Last accessed February 2012. Puget Sound Energy. 2011. 2011 Integrated Resource Plan – Appendices A-K, p. H-10. Assuming 3 person per household. Section 5(g), Transfer of Development Rights Deed of Conservation Easement dated December 14, 2004, recorded on the same date as King County Official Public Record 20041214002392.